Check our local colleges, universities, libraries and museums to see if they offer fun summer camps. Kids can learn all sorts of things, from archery and swimming to the Dewey Decimal System and paleontology. Think about what your children are interested in and then see if there is a camp nearby that they'd enjoy. They'll spend their time learning new things that are exciting and may even want to go back next summer. Summertime is a great opportunity to delve into a new language. Consider working toward becoming fluent as a family. Maybe you're planning a trip to Spain and could get everyone to learn Spanish. Whatever language you learn, start with vocabulary. Label things around the house with their name in the new language. Start using the words you learn together every day and soon you'll be forming sentences and asking questions together. Consider trying out some language apps like Duolingo. They offer fun games and challenges that people of all ages can use to learn a new language. Your kid's teachers will be impressed with all they've learned once summer break is over! Yes, you should spend some time at the beach together this summer. But also make some field trips to educational locales. If you live near a historic site like a battlefield or a lighthouse, have your children study the history online before you go. Then, they can give you a lesson while you enjoy the view from the light or stroll about the field. Don't forget to use the handy tour guides available at these locations - they have a lot of knowledge that is interesting and entertaining! 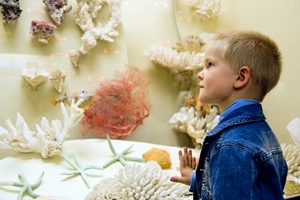 Also head to museums, theaters and outdoor spaces to see amazing acting, check out cool exhibits and learn about flora and fauna. Family adventures can be awesome learning experiences that turn into lasting memories. You can turn going somewhere into an awesome educational opportunity with the help of guidebooks and the internet. Before heading on a family vacation, work with your kids to choose a route using maps. That's a free geography lesson! Then, have everyone do research to see what they want to do on the way and at your destination. Websites like TripAdvisor are a great place to start. Learn about the history of the area through a Google search, and even check out the local newspaper to see what events your family may want to attend together while you're there. Once your vacation is over, have your kids create a presentation about all you did and learned together. A scrapbook is a great way to keep all the fun you had on paper so you can look back on it in the future.